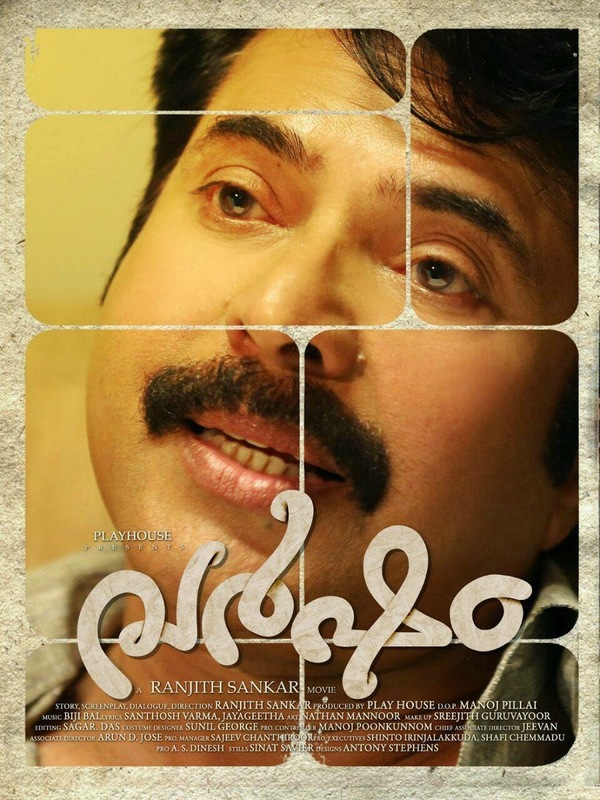 Varsham is the next mamooty release this year after Rajadhiraja. The movie is a family drama directed by Ranjith Sankar. The movie has ensemble cast like Asha Saharth, Mamata Mohandas, Govind Padmasury. The film is produced under the banner of Play House. The other ingredients like Music is by Bijibal and camera by Manoj Pillai.